(1857-1941) Born in Gold Hill, Placer County, CA on October 22, 1857 Latimer was the son of a federal judge. Latimer was educated at McClure Military Academy in Oakland. After settling in San Francisco, he studied art under Virgil Williams at the School of Design and later taught at that school. A prolific artist, he lost many works in the disaster of 1906. With the City in ruins, he moved across the bay to Berkeley where he taught at the UC and established a home and studio at 2514 Woolsey Street. Latimer was also active in Reno, NV and in 1921 founded the Latimer Art Club there. In 1931 he was instrumental in forming the Nevada Art Gallery, now the Nevada Museum of Art. 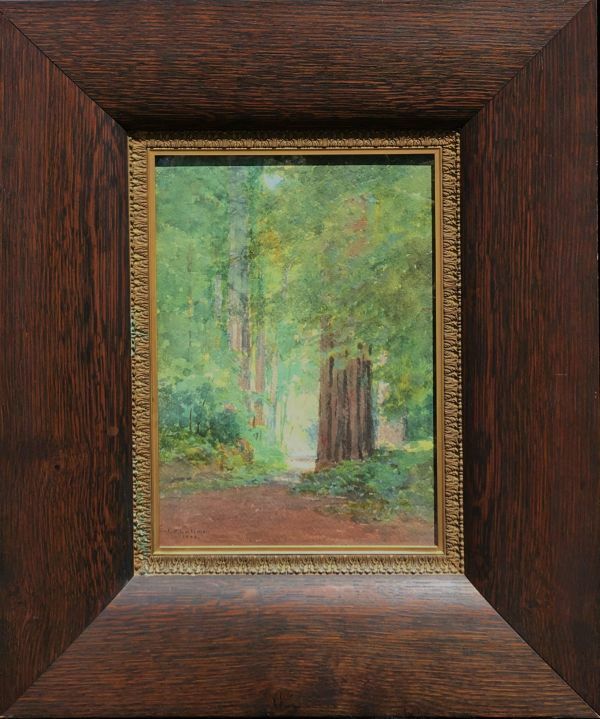 He died in Berkeley on Jan. 14, 1941 having contributed greatly to California art both as a teacher and a painter. He had many female pupils whose works are very similar to those by their teacher. 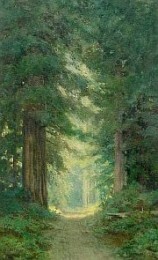 Primarily a watercolorist, Latimer is best known for his depictions of Lake Tahoe, the Sierra Nevada, and Nevada. Works held: Oakland Museum; De Young Museum; California Historical Society; Bohemian Club; Society of California Pioneers; Santa Cruz City Museum; Nevada Museum; Orange County Museum. Exhibited: San Francisco Art Association; Bohemian Club; Mechanics' Institute; Lewis & Clark Expo; World's Columbian Expo; San Francisco Artists Society.